Many organizations are not thinking of how their culture can move them forward. Not only do you need to think about how to create your culture, but you also need to own it. 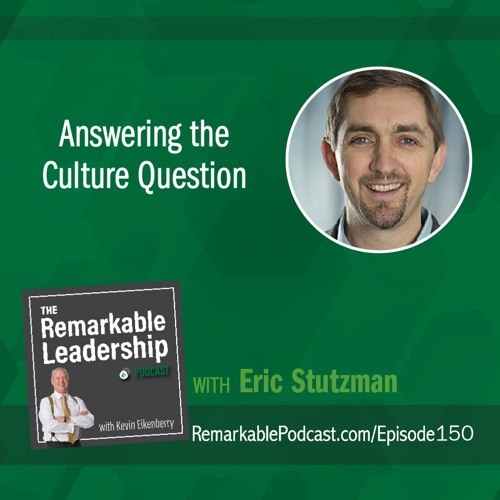 Eric Stutzman is a co-author of The Culture Question: How to Create a Workplace Where People Like to Work. The book includes survey feedback from over 2,400 leaders and employees. Kevin and Eric talk about some of these findings, such as there is a direct correlation between leaders communicating with purpose AND in meaningful ways and people feeling like they have a great workplace. In order to create meaningful work, there need to be intentional conversations about progress. Further, how and when a leader should respond to conflict.